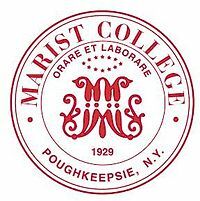 Marist College is a private liberal arts college on the east bank of the Hudson River in Poughkeepsie, New York. The site was established in 1905 by the Marist Brothers, and the college was chartered in 1929. The Mobile Consumer via Independent 4 weeks long 4 weeks long 4th Apr, 2014 No reviews yet. 15th May, 2014 No reviews yet. Enterprise Computing Strategies via Open Education by Blackboard 6 weeks long 6 weeks long 1st Sep, 2014 No reviews yet.